Satyajit Ray was born in the city of Calcutta. Ray was born into a Bengali family to Sukumar and Suprabha Ray. His father died when Ray was three years old. Ray studied at the Ballygunge Government High School, Calcutta and later, he did his graduation from the Presidency College of the University of Calcutta. He was a bright student of the Visva Bharati University. He married Bijoya Das in 1949. Their son Sandip Ray is a film director. Ray suffered a heart attack while making the film “Ghare Baire”. Satyajit Ray is known for his humanistic approach in cinema. Ray started his career as a commercial artist. While he was at the Visva Bharati University, he developed love for oriental arts. His visits to Ajanta & Ellora Caves stimulated his admiration for Indian arts. Ray started work with a British run advertising agency DJ Keymer as a junior visualizer in 1943. He later worked for Signet press. He founded the Calcutta Film society in 1947. While Ray was at London he watched a film by Vittorio De Sica which had a huge influence on him and he was determined to become a filmmaker after seeing the film. Ray considered script writing to be an important part of direction. At the beginning of his career he worked with classical musicians like Vilayat Khan, Ravi Shankar and Ali Akbar Khan. He had a great understanding of Western classical forms. With the film “Teen Kanya” he began composing his own scores. Satyajit Ray is known for his humanistic approach in his cinematography. His films portray relationships, emotion, struggle, conflict, joys and sorrows. His cinema is a blend of intellect and emotions. His films depict a fine sensitivity without using melodrama. His cinema belongs to a meta-genre that includes the work of Akira Kurosawa, Alfred Hitchcock, Charlie Chaplin, David Lean, Ritwik Ghatak, Robert Bresson and many others. He did the scripting, casting, scoring and editing of his films. He designed his own credit titles and publicity materials. Ray is a cultural icon in Indian and in Bengali communities. He made widespread contribution in the field of Bengali cinema. His works have influenced several Bengali film directors, including Aparna Sen, Rituporno Ghosh, Gautam Ghosh and so forth. As a director Satyajit Ray was known for his humanism, versatility and control over his film and music. He directed feature films, documentaries and short films. He has directed a total of 37 films. His first film “Pather Panchali” established his reputation as a major film director. The film was the winner of 11 international prizes. It won the best Human Documentary award at the Cannes Film Festival. While working for “Pather Panchali” Ray gathered an inexperienced crew. He started shooting in the late 1952. He invested his personal savings in the same and shot the film over three years. The film was released in 1955 and witnessed great critical success. The film won many awards at the national and international forums. It had an exceptionally long run in US. His next film “Aparajito” was also a huge success as well. The film won the Golden lion at the Venice Film Festival. The last of the trilogy “Apur Sansar” was made in 1959. 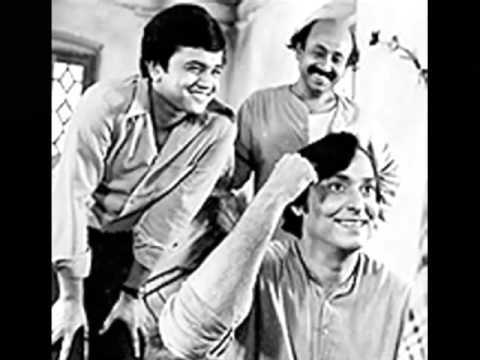 Bengali cinema actors Soumitra Chatterjee and Sharmila Tagore acted in the film. In 1964 he made “Charulata”. The film remains one of the greatest works of Ray. Many critics regard “Charulata” as one of his most accomplished films. His notable films include “Inner Eye”, “Parash Pathar”, “Jalsaghar”, “Devi”, “Mahapurush”, “Kanchenjungha”, “Mahanagar”, “Teen Kanya”, “Abhijan”, “Kapurush o Mahapurush”, “Nayak”, “Goopy Gyne Bagha Byne”, “Aranyer Din Ratri”, “Pratidwandi”, “Seemabaddha”, “Jana Aranya”, “Sonar Kella”, “Joy Baba Fellunath”, “Hirak Rajar Deshe”, “Pikoo”, “Ghare Baire”, and “Agantuk”. He made a Hindi film “Shatranj Ke Khiladi” in 1977. This was his first feature film in a language other than Bengali. He wrote all the screenplays of his films, many of which were based on his own stories. He also designed the set and costumes of his films. Ray was also a publisher, illustrator, graphic designer and film critic. Ray wrote stories and essays for children. He was a prominent science fiction writer. He created two popular characters in Bengali children’s literature “Feluda” and “Professor Shonku”. He wrote a collection of nonsense verse namely “Today Bandha Ghorar Dim” and a collection of humorous stories of Mullah Nasiruddin. His works for adults were published as a collection of 12 short stories. He wrote an autobiography of his childhood years “Jakhan Chotto Chilam”. Ray wrote essays on many films. During the 1990s his film essays and an anthology of the short stories were published in the West in English. Most of his writings have been translated into English. Most of his screenplays have been published in Bengali in the literary journal “Eksan”. He designed his covers for his books and created publicity materials. In 1961 he revived and continued to publish the Bengali Children’s magazine “Sandesh”. In 1992 his health deteriorated due to heart complications. He received an Oscar Award weeks before his death. He breathed his last on April 23, 1992 at the age of 70 years. 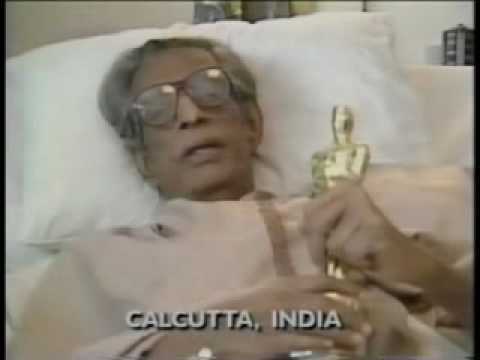 Satyajit Ray has won national and international awards for his contribution to cinema. He has won 32 National Film Awards. He received a number of awards at the international film festivals. The Academy of Motion Picture Arts and Sciences awarded him an honorary Oscar in 1992 in the lifetime achievement category. Ray was honored with the Bharat Ratna Award by the Government of India in 1992. He was the recipient of the Dadasaheb Phalke award in 1985. He is the second film personality after Chaplin to have been awarded honorary doctorates by the Oxford University. In 1987 he was awarded the Legion of Honor by the President of France. In 1978 the organizing Committee of the Berlin Film Festival ranked Ray as one of the three all time best directors. At the Berlin Film Festival he won the Silver Bear for Best director more than once. He holds the record for the most number of Golden Bear nominations. His “Pather Panchali” was the winner of 11 international prizes. It won the best Human Documentary Award at the Cannes Film Festival. His film “Aparajito” won the Golden Lion at the Venice Film Festival. He was the recipient of the honorary “Homage à Satyajit Ray” Award at the 1982 Cannes Film Festival. He was posthumously awarded the “Akira Kurosawa Award for Lifetime Achievement in Directing” at the San Francisco International Film Festival. He was the first Indian film figure together with Madhabi Mukherjee to be featured on a foreign stamp (Dominica). In 1995 the Government of India set up the Satyajit Ray Film and Television Institute for film studies. During the London film festival a regular “Satyajit Ray Award” is given to a first time feature director whose film best captures “the artistry, compassion and humanity of Ray’s vision”. From the first time when I watched Satyajit Ray's "Gupi gayin Bagha bayin "I became his biggest fan.And love the character of ''Feluda".